If you are a baker and your plan is to have your own bakery someday, you can do it if you will mix your dream with perseverance, patience and determination. To land your feet in the baking industry, this article will provide you information on how to run a bakery. The succeeding paragraphs will be your guide. The secrets of the success of your bakery are having a record-keeping system and developing routines that can help you meet demand while delving deep into the production of a small amount of additional inventory. Added factors that can ascertain your business are the recipes and systems for goods production and distribution. The display should also be on top priority because the customers will prefer those baked goods that are presented well. The other tips that can help you run a successful bakery are discussed in the succeeding paragraphs. Create Your Own Product Line: In order for you to easily be known in the industry, you should have a product line that will serve as your trademark. 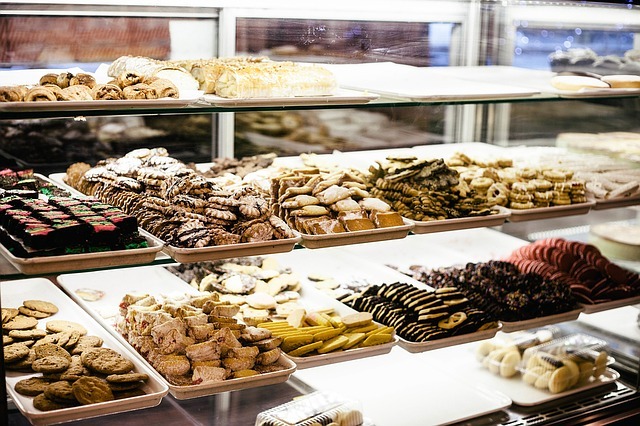 Through this, the potential customers can easily recognize your bakery. Aside from the product line you want such as cookies, you should also have supplemental products that pave the way for niche expansion. You should also develop adaptable recipes that provide efficiency and consolation to the customers. But make sure that the products will also be varied to capture the interest of the customers. You can also offer customized order items and seasonal menus as well. Create an Inventory System: This is a very important one when it comes to ordering and storing the ingredients. This can be in a form of a computerized system with the records for the inventory that determines the amount of every ingredient used in the daily goods production. If you don’t have a large amount of money, the inventory system can just be in a form of handwritten record that tracks the amount of item you have either on a daily or weekly basis. Set Up an Appealing Display: The display can be a great factor in securing your success in the bakery business. To capture the attention of potential customers and buyers, you can use baskets and platters that show the goods you have. You can purchase different baskets having different sizes and shapes that will work best for your goodies. In addition, you should also think of a good packaging appearance to impress the buyers. Another aspect in the bakery business that should not be overlooked is the customer-service protocols because this is where the success of your business will depend on. So, you need to train the staffs well. There must also be kitchen routines to assign the staffs at their respective tasks. By applying the tips mentioned in this article, you will surely succeed in the baking business.